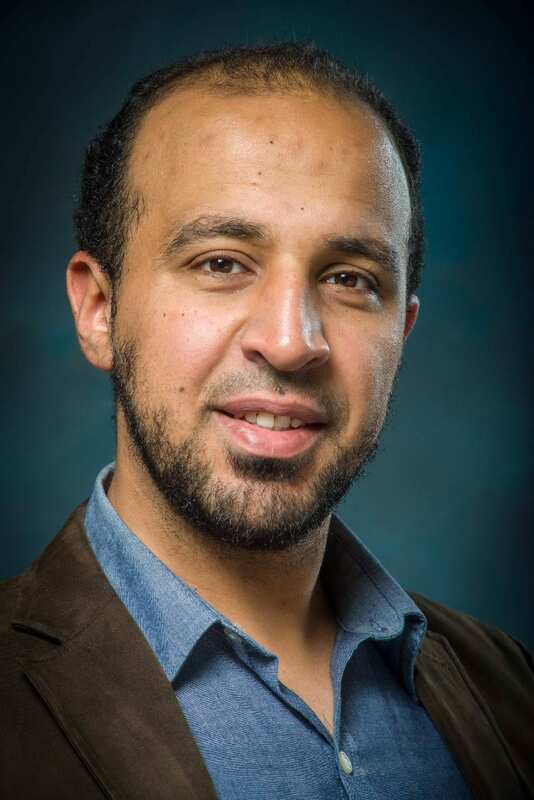 San Jose State University Assistant Professor of Electrical Engineering Mohamed Badawy is the director of the Center of Power Electronic Converters (CPEC), where students learn about and research how to better power electronics from cars electric vehicles to cell phones to solar cells. He was recently interviewed in a California State University news story on “The Fuels of the Future.” In the article, Badawy shares his thoughts about the viability of electric vehicles and future improvements that will make charging them accesible. Read the full article online. His research interest extends beyond electric vehicles. Working with undergraduate and graduate students in the CPEC lab, he is also interested in developing novel photovoltaic (PV) power processing technologies that could improve energy capture in solar technology. He is also engaged in research that supports the adoption of highly efficient electrical loads that could improve cell phone charges, laptop chargers, power supplies and LED drives. 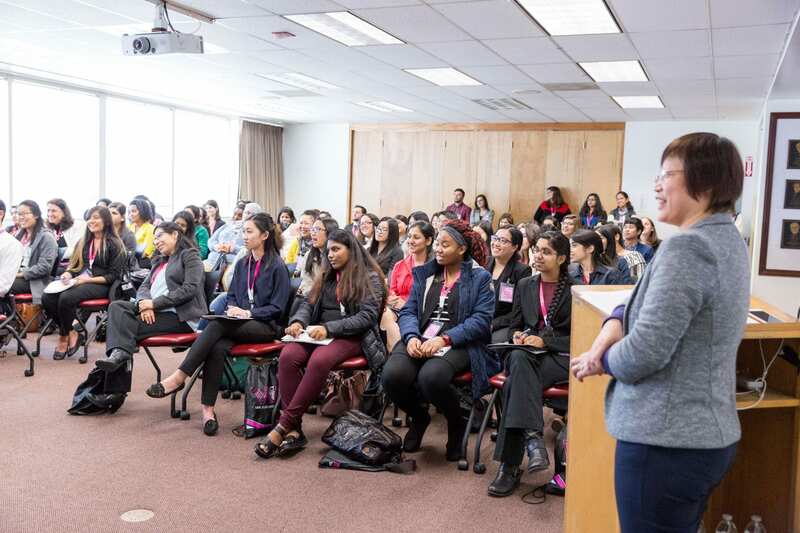 Each year the Charles W. Davidson College of Engineering draws a powerhouse lineup of technology leaders to inspire an up and coming generation of innovators at its Silicon Valley Women in Engineering Conference. This year, the sold-out event will be on March 16 with a full day of speakers, workshops and networking. 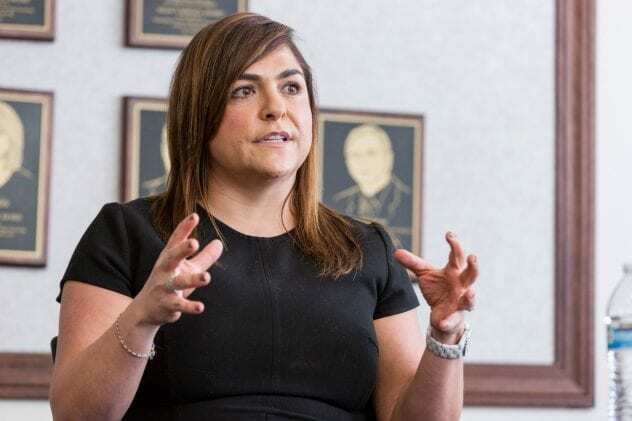 Keynote speakers include Michelle Bockman, the global head of 3D Printing at HP, and Sandra L. Rivera, the senior vice president and general manager of the Network Platforms Group at the Intel Corporation. Representatives from Panasonic Ventures, Guardant Health, Inc., Workday, Stanford Health Care, Apple Inc., Google, NASA Ames, Salesforce and more will be speaking throughout the day at panels and workshops. The conference this year includes tracks for professional development as well as emerging technologies. 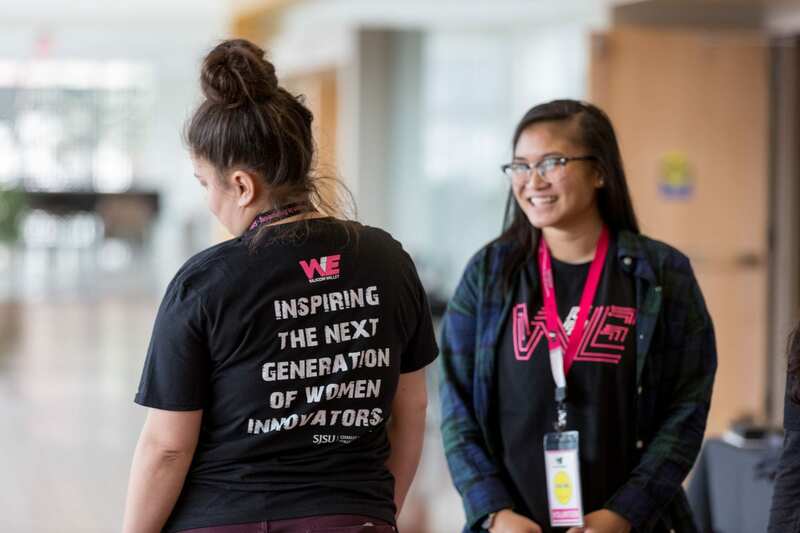 Started in 2013 with support from the Mark and Carolyn Guidry Women in Engineering Program Fund, the conference now has a dozen industry sponsors. Last year’s event was sold out as well, with 450 community college and university students attending. SJSU students Shivani Parmer, then a second-year student in biomedical engineering; Lalitha Donga, then a second-year student in software engineering; and Cindy Carrillo, then a first-year software engineering major, attended the 2018 conference and were impressed. Both Donga and Parmer said they felt better about their academic and career paths. Read the full article on the 2018 conference. Assistant Professor Matthew Leineweber had a busy winter break. He taught a course on biomedical engineering. In Hanoi. And took the time to blog about his adventures for his SJSU students, colleagues, friends and family in the United States. Leineweber traveled to Vietnam to teach at what he referred to as the oldest technical university in the country, the Hanoi University of Science and Technology (HUST). It is known locally as Bach Khoa which translates to 100 faculty. SJSU has long had a partnership with the Hanoi institution — Chair of Electrical Engineering Thuy Le has served as a guest professor there many times. Faculty from Bach Khoa visited SJSU last year and met with chair of SJSU’s Biomedical Engineering (BME) program, Dr. Guna Selvaduray, as they worked on developing a new Advance Program in BME that is taught in English. 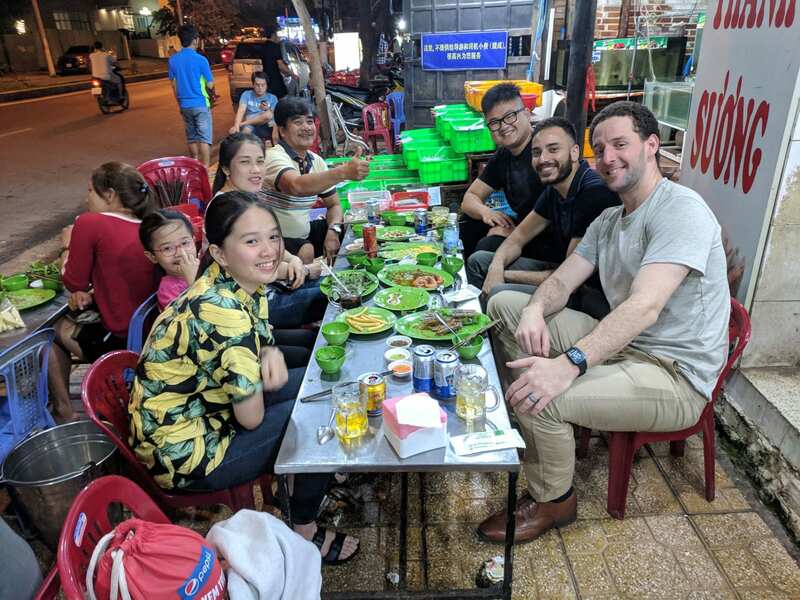 A second-year faculty member in the Charles W. Davidson College of Engineering and an expert in biomechanics, Leineweber jumped at the opportunity to travel and teach in Vietnam. His research involves evaluating how able-bodied individuals and people with physical impairments move, using the information gathered to design more effective assistive devices. Prof Leineweber, far right, enjoys a meal in Nha Trang, Vietnam with SJSU student Hoang Nguyen and Nguyen’s family. 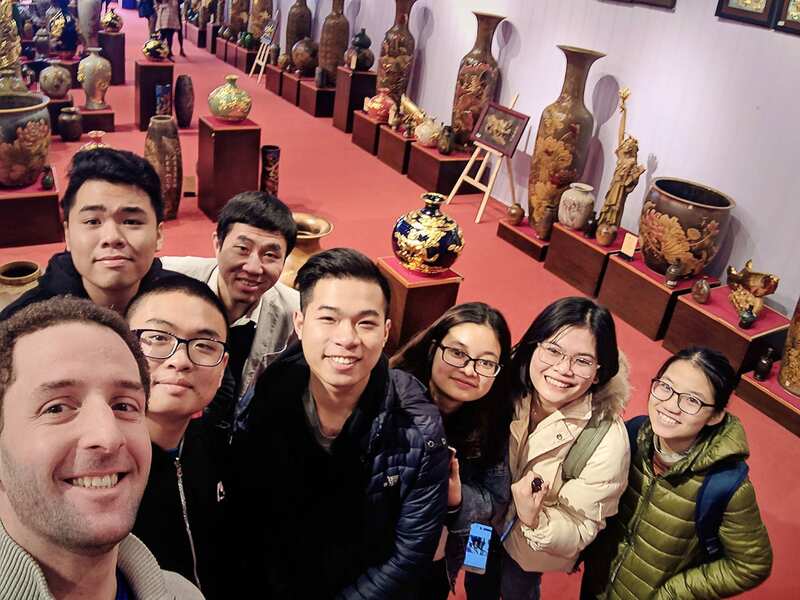 He arrived on December 29 for his first meal of pho and for a few days of sightseeing before he met his students for the first time on January 2. Leineweber found similarities between the Vietnamese campus and SJSU–both are set in the middle of their cities and serve 30,000+ students. But Bach khoa’s square footage is half that of San Jose’s campus. Leineweber’s course assistant Dr. Hung Viet, who is a lecturer at Bach Khoa, showed him around the university and helped with logistics. “I am bringing back an appreciation for how students are the same worldwide,” Leineweber said, adding that he hopes to travel back to Vietnam frequently to see more of how teaching is done there, what research they are conducting and get ideas to bring back. For more on his experience, including a trip to a village known for pottery, a cooking class and a visit to Ho Chi Minh City where he met up with two SJSU master’s students Hoang Nguyen and Shawn Bhinder, and more on his class visit his site: https://sites.google.com/sjsu.edu/profleinewebergoestohanoi. 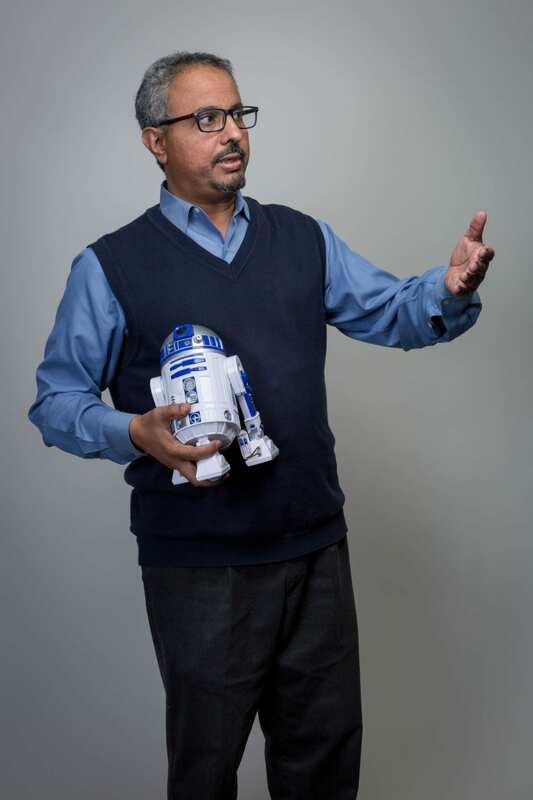 Charles W. Davidson College of Engineering Professor Ahmed Banafa, who was recently ranked by LinkedIn as the number one voice to follow in technology, has identified four hot tech trends for 2019. For anyone who uses a fitness tracker, smart phone, email or other applications, asks Alexa or Google Home what the weather will be like today, or accesses public records, these hot trends have potential to impact all these devices and technologies. 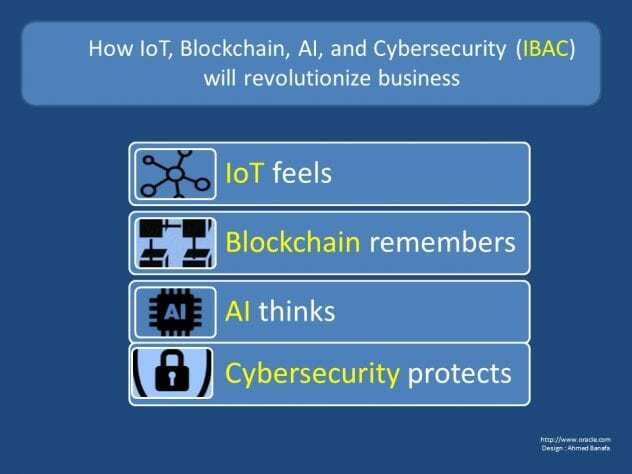 An image depicts the hot tech trends of 2019: Internet of Things, Blockchain, AI, and Cybersecurity. Infographic courtesy of Ahmed Banafa. The trends include the Internet of Things, Blockchain, Artificial Intelligence and Cybersecurity, or as Banafa has dubbed them “IBAC.” SJSU students are learning about these cutting edge technologies in their classrooms, with students and faculty engaged in research in each area. Banafa shares why each area is a boon. In December, he shared his top predictions for IoT in the coming year. Banafa noted that the number of devices using IoT technology is likely to increase to 3.6 billion that are actively connected to the Internet and used for daily tasks, with their ability to collect data expanding as 5G technology is introduced. He noted as well that digital transformations in industries such as manufacturing and healthcare have tremendous impact to improve either production performance and patient care, respectively. In a similar post last September, Banafa shared his predictions for emerging blockchain technology, one of the newer topics covered at SJSU, as providing security a new perspective where human logic is involved at the top of encryption. AI continues to gain traction, he said, with the development of “smart devices” including speakers, homes and now cities. Cybersecurity remains a critical issue, one that is being tackled on multiple fronts through SJSU’s interdisciplinary Silicon Valley Big Data and Cybersecurity Center. “Just read the news and you will see that we have daily breaches,” he said, noting a recent Marriott Hotels breach that impacted up to 500 million guests along with a Facebook breach that exposed 50 million accounts. 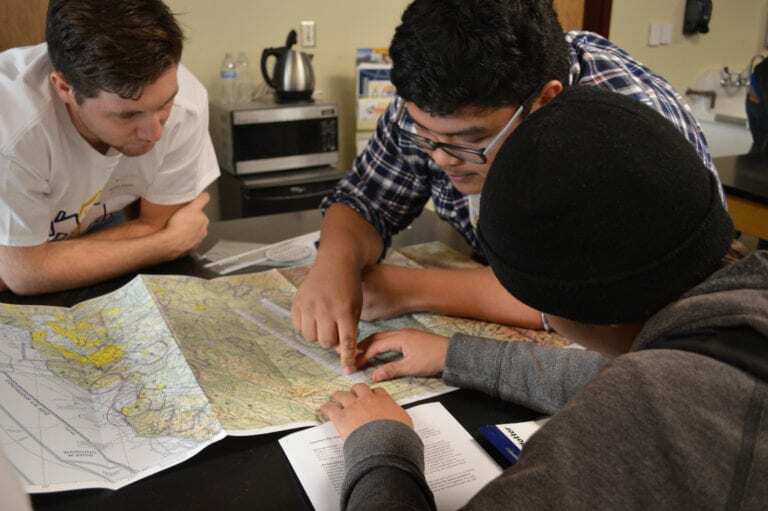 The college has more than 400 faculty members who teach in its 13 departments, many who are engaged in research or work in industries that keep them up to date on the latest trends in engineering, and the program offers interdisciplinary service learning experiences for students.